The average adult has thirty two teeth by eighteen to twenty years of age; sixteen teeth on the top and sixteen teeth on the bottom. Each tooth in the mouth has a specific name and function. The teeth in the front of the mouth are ideal for grasping and biting food into smaller pieces while the back teeth, or molar teeth, are used to grind food up into a consistency suitable for swallowing. Each tooth consists of two parts: the crown and the root. The crown is visible in the mouth while the roots that support the tooth are firmly anchored in the jaw bone. The gingiva, or gum tissue, is a protective skin that clings to the necks of the teeth and covers the bone that holds the teeth. The molar teeth are located in the back of the mouth and may have two or three roots. The other teeth have one root. The last of the molar teeth, called third molars or wisdom teeth, develop in the bones of the upper and lower jaws and are the last teeth to form and erupt into the mouth (figure 1). There are usually four wisdom teeth, one on the upper and lower on each side of the mouth. They are the teeth farthest back in the mouth and they may also be the most difficult to clean even if they erupt into the proper position. Wisdom teeth begin to form at nine years of age. They form in a small hollow that develops inside the bone of the upper and lower jaws. The crown develops first, and is usually completed by fourteen years of age (Note: the ages given here are averages and growth patterns vary from patient to patient). Then as the root develops, the teeth begin to move slowly through the bone towards the mouth. By age sixteen the jaws have generally reached their adult size and the dentist can see if there will be enough room for the wisdom teeth to erupt into the mouth normally. If there is not enough room for the wisdom teeth to come in, they will remain trapped in the jaw bone. When this happens the wisdom teeth are said to be impacted (figure 2). Impacted teeth can take many positions in the bone as they attempt to find a path that will allow them to erupt successfully. Sometimes part of the wisdom tooth shows in the mouth. This tooth is still impacted, as part of the biting surface of the tooth is covered by bone or gum tissue. What Problems Can Be Caused By Impacted Wisdom Teeth? Even though impacted wisdom teeth are not visible in the mouth they can cause a number of problems. Commonly, patients will go to their dentist because of pain in the back of the jaws. Removal of the impacted tooth or teeth usually resolves the problem. The impacted wisdom tooth may be the source of the pain or there may be an infection associated it. Bacteria that are always present in the mouth can work their way down under the gum tissue and cause a painful infection around the crown of the wisdom tooth even though you can’t see the tooth. People often mistake repeated soreness of the gum tissue over the wisdom teeth as an effort by the teeth to erupt. This is often a warning sign. If this situations goes untreated for an extended period of time, the infection may become chronic and lead to destruction of bone around the impacted tooth (a condition known as periodontal disease). This bone destruction can extend around the other teeth in the back of the mouth and lead to future tooth loss. (figure 3) The same types of bacteria that are responsible for infections can also cause tooth decay or cavities on the roots of the other molar teeth. The constant pressure from the impacted wisdom tooth can lead to destruction of the tooth or teeth adjacent to it. Although the occurrence of cysts and tumors associated with the jaws is low, when they do occur it is most frequently around an impacted wisdom tooth. The orthodontist may request that wisdom teeth be removed prior to braces because they may interfere with straightening the other teeth. Finally, an impacted wisdom tooth in the lower jaw occupies space that is usually filled by bone. This creates an inherent area of weakness in the lower jaw which may make it more susceptible to fractures (broken jaw). As soon as it is determined that the wisdom teeth will become impacted, they should be removed. This can usually be determined by sixteen or seventeen years of age. Removal of impacted wisdom teeth in this age group has several distinct advantages. First, at this age the roots are seldom fully formed, even though the tooth has become impacted. If left in place, the tooth will not erupt into the mouth but the roots will continue to grow. Removing an impacted wisdom tooth before the roots are fully formed is easier and less traumatic for the patient. Also, at this age, the bone surrounding the impacted tooth is more pliable. Typically, patients who have impacted wisdom teeth removed in their mid-teens heal more rapidly and have a shorter and less complicated post operative recovery. 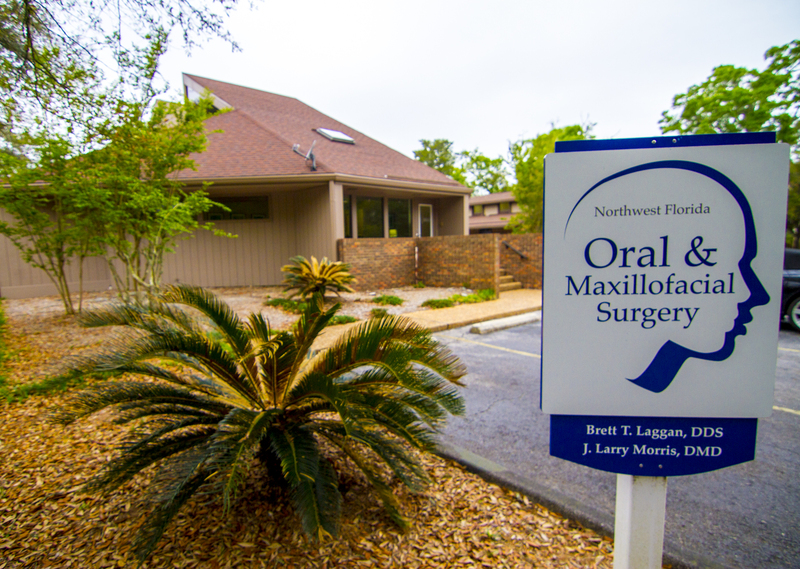 The vast majority of patients have their wisdom teeth removed right in the office of an oral and maxillofacial surgeon. Improvements in surgical technique and sedative medications allow patients to have their impacted wisdom teeth removed comfortably and efficiently in a pleasant environment that is far less costly and intimidating than the hospital setting.